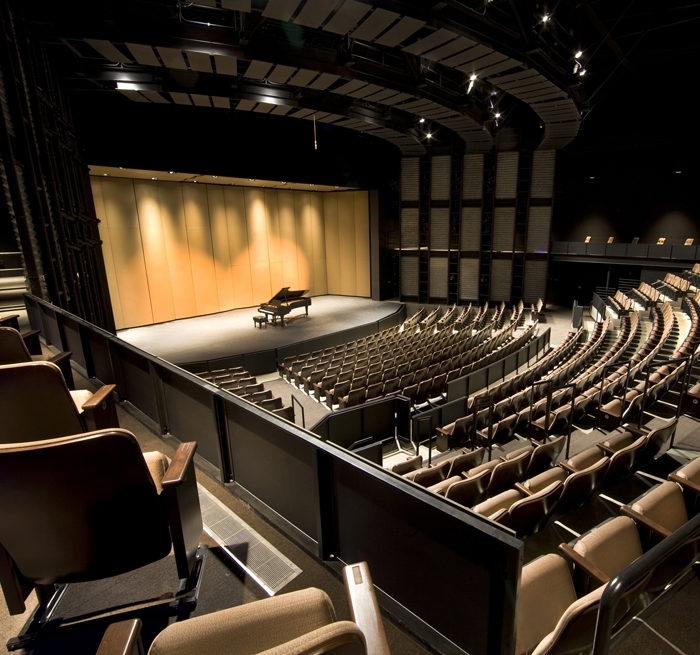 Following the approval of a 2002 bond measure, Napa Valley College embarked on a campus expansion including a new $31.5 million academic Performing Arts Center with three new performance venues as well as instructional space for the College’s growing music and theatre arts programs. Auerbach Pollock Friedlander provided theatre and audio-video consulting for the programming, planning and design of the new Center. The addition of Center also met the need for live performance space in the southern end of the valley. 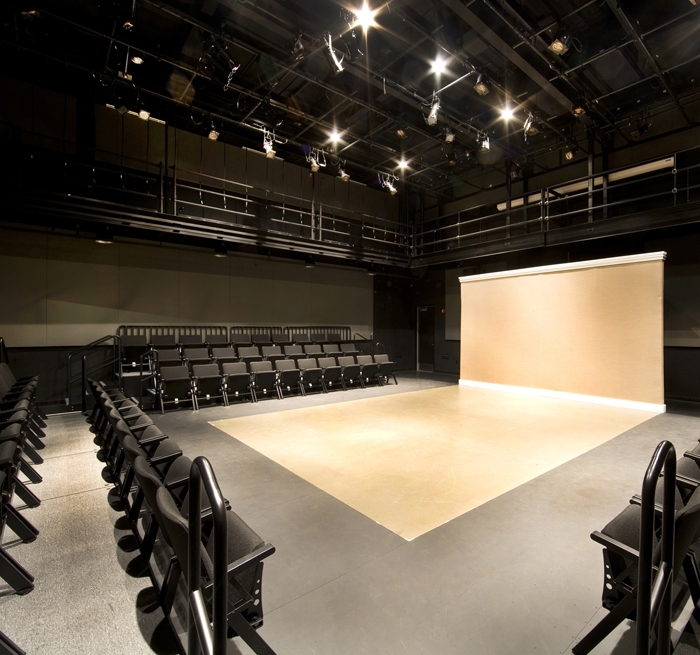 Imagined and designed as a teaching space, the performance hall audio-video systems provide technical theatre students the opportunity to perfect basic microphone technique, surround-sound special effects and supporting musical theatre performances with contemporary amplified music score. The Black Box theatre audio-video systems were conceived to support introductory level coursework and performance. 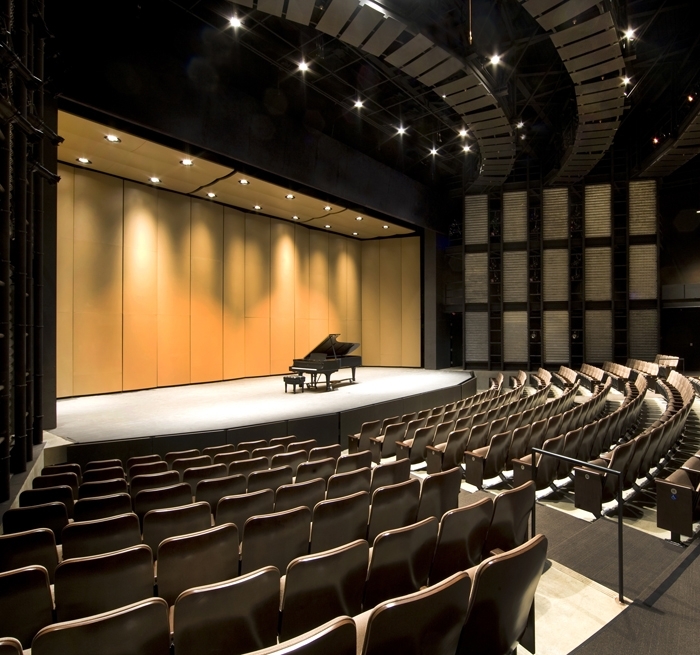 The music department’s practice rooms and rehearsal studios, designed for a variety of acoustic disciplines, include instructional presentation systems and recording systems to document student recital and class performances. The orchestra classroom includes projection and cinema surround audio to support classes in movie music appreciation and scoring for picture.